Rolling Stone's Andy Greene used these comments as a jumping off point for an article he posted shortly after the interview appeared online where he asks the question Could There Be Life for Rush Without Neil Peart?. Greene examines three possibilities; carry on as Rush but with a new drummer, change the name and continue with a new drummer, or Geddy just carry on as a solo act. I'd say option 1 is off the table, but the other 2 options are a possibility. You can check out Greene's analysis of these 3 options here (WARNING: this article contains reckless speculation). 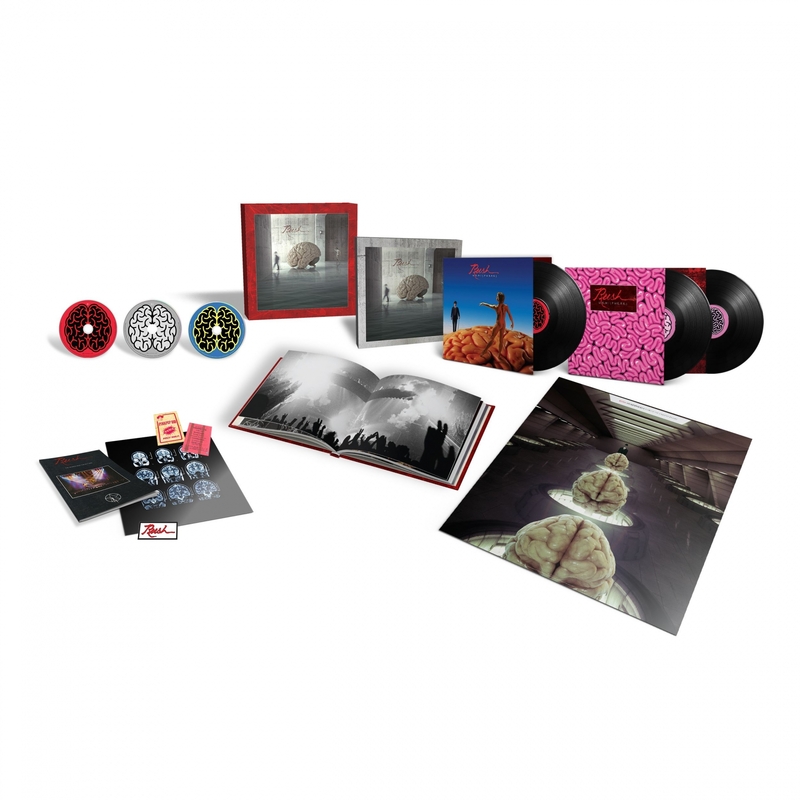 The Hemispheres box set is slated for release on November 16th and will be made available as a 2 CD or 3 LP set along with a Super Deluxe edition that includes both the 2 CDs and 3 LPs along with a bonus Blu-ray disc. The set uses the Abbey Road Studios 2015 remastered edition of the album, along with a newly restored bonus recording of the band's June 1979 Pinkpop Festival performance in the Netherlands (with the 2112 performance replaced with one from a Tucson show in November 1978). The Super Deluxe edition also includes a 5.1 Blu-ray mix of the album (from Rush engineer Rich Chycki) and 4 bonus videos. The Super Deluxe edition also includes several exclusive items, including a 40-page hardcover book with unreleased photos and new artwork by original album designer Hugh Syme. The Rush Backstage Club is also offering various merchandise bundles which you can check out here. There's currently a promotion where if you pre-save the set on Spotify, you can enter for your chance to win a Super Deluxe Edition of the box set. For all the details and to enter, go to this location. You can pre-order the box set now via Amazon (2 CD, 3 LP, Super Deluxe edition), and also check out this unboxing video. The 11th annual Scott Medlock-Robby Krieger Golf Classic and All-Star Concert to benefit St. Jude Children's Research Hospital will take place this weekend at the Saddlerock Ranch in Malibu, CA, and Rush's Alex Lifeson is one of the many guests scheduled to participate. 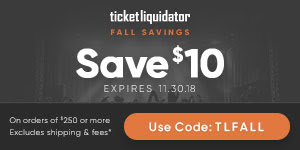 The event is hosted by sports artist Scott Medlock and legendary Doors guitarist Robby Krieger and will kick off with a 20-mile Rock 'n' Ride tomorrow, followed by the All-Star Concert at 4PM on Sunday at Saddlerock Ranch, and the Rock & Roll Golf Classic with a shotgun start at 11AM on Monday. Lifeson has taken part in the event in the past, most recently at the 9th annual event 2 years ago as detailed in this post. The 2016 All-Star concert included performances of Rush's The Spirit of Radio, Limelight and Freewill from an all-star band that included Richie Sambora, Orianthi, Robby Krieger, Jerry Cantrell, Mike Inez, Danny Seraphine, Phil Chen and others. Alex also sat in on a number of other songs including a performance of the Alice in Chains song Would. For more information and to register for the event, check out the official press release. It looks like Alex traveled out to the West Coast for the event a few days early as demonstrated by this Instagram post from producer Kevin Shirley (Shirley was the engineer on Counterparts), who lives in Malibu ... and Geddy is there too (maybe to see the World Series?) ! 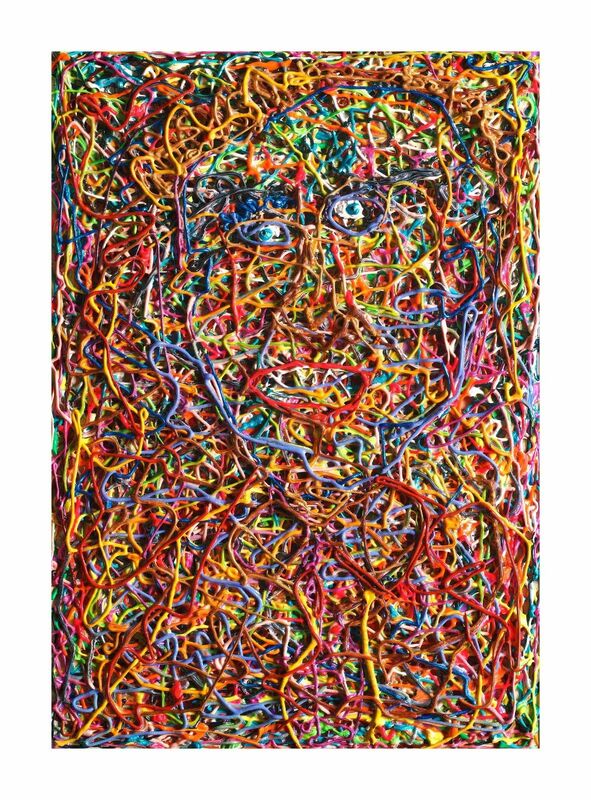 The Kidney Foundation of Canada's annual A Brush of Hope charity auction fundraiser ended this past week and Alex Lifeson's painting Self Portrait #2 ended up raising over $12,000 CAD for the charity! Alex has participated in the auction nearly every year since 2006, including last year with his painting 20,000 Feet Over The Sea. For all the latest news and information on A Brush of Hope be sure to follow them on Facebook. The winners of the 2018 Slaight Family Polaris Heritage Prize were announced earlier this week and Rush's 2112 was one of the eight Canadian albums to make the final cut. Ten albums were selected from each of the time periods between 1960-1975, 1976-1985, 1986-1995, and 1996-2005. Two of these albums were then selected as the prize winners from each of the four time periods; one by a public fan vote, and the other selected by a jury of music critics, journalists, broadcasters and programmers. 2112 won the fan vote for the 1976-1985 time period. 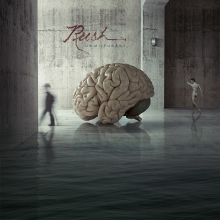 Rush's Moving Pictures won the fan vote prize in the same category back in 2016. For a complete list of the 2018 winners visit the Polaris Heritage Prize website here. 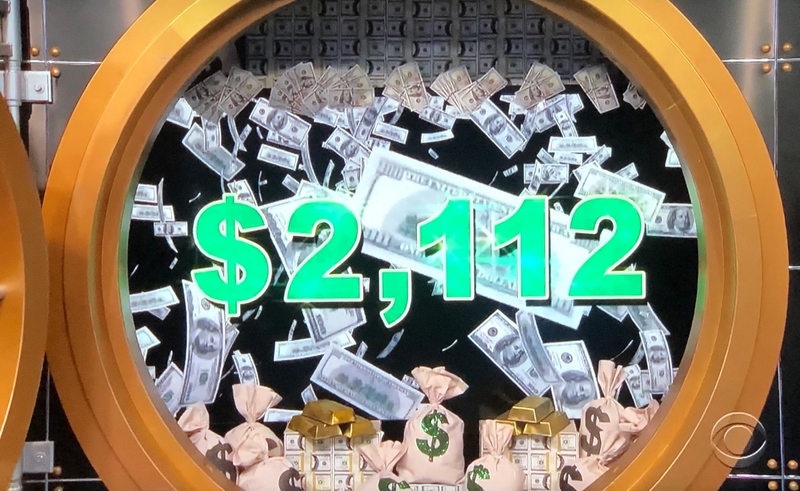 There was a Rush 2112 sighting on the CBS game show Let's Make a Deal this past Friday. The big deal of the day was for $2,112 as seen in this screenshot (thanks John D). Ultimate Classic Rock's Ryan Reed posted an article this past week where he picks the best (in his opinion) song from each of Rush's studio albums. You can check out his list at this location. There's no middle ground on how people feel about Rush, the band earn their place among the best power trios for bringing prog rock into the mainstream. Known for their intricate musicianship that included incredibly complex, experimental compositions and lyrical matter that leaned heavily on sci-fi and fantasy (look no further than their 2112 concept album), Rush's importance goes beyond their flights of fantasy. They were one of the most successful early rock bands to incorporate synths into their sound; after new wave gave way to a more guitar-centric sound, so did Rush, and they returned to their power trio roots. Even after announcing their break-up, Rush remain one of the most underrated bands in rock history. Rush's 4th live album Different Stages will be celebrating the 20th anniversary of its 1998 release in a couple of weeks on November 10. Progarcy.com's Bradley Birzer posted an article this past week where he looks back on the album and its place in Rush history as a bookend to "Rush 2.x" in the wake of Neil Peart's personal tragedies. You can check out the article online here. That's all for this week. Have a great weekend and a happy Halloween next week! !